Tax return in 2018 - How will it be impacted? Under Trump administration, your tax return in 2018 may get affected. 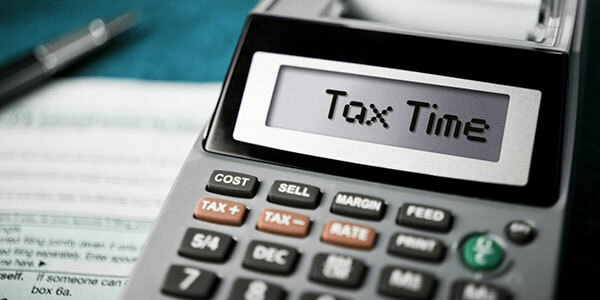 Check out whether or not you need to pay more tax or can expect less on your tax return of 2018. It is expected that many changes can take place under Trump administration, of which income tax is a prominent one. You can see certain changes when you file your tax return in 2018 for the tax year 2017. The knowledge will help you to be prepared for the tax you’d have to pay and the return you can get back. You can expect the following things when you file your tax return in 2018. The 7 tax brackets might get reduced to 3 in this year. The rates on the tax brackets is supposed to be 12%, 25% and 33%. The top rate is supposed to fall from 39.6% to 33%. The tax plan proposed by Donald Trump will have increased standard deduction. For single filers, it will be $15,000 from $$6,300 and for married couples filing jointly, the deduction amount will be $30,000 from $12,600. According to Timothy Speiss, the chairman of personal wealth advisors at accounting firm EisnerAmper, "For many middle-income taxpayers, the new standard deduction [under Trump's proposal] may exceed their itemized deductions, thus allowing a higher deduction." Trump has proposed for elimination of personal exemptions. However, the higher income group already doesn’t deduct personal exemptions due to the phase out. So, it won’t impact much. Moreover, for married couples, the itemized deductions will be capped at $200,000. According to the PATH (Protecting Americans from Tax Hikes) Act of 2015, the IRS can’t send out refunds or credits for any overpayment made till February 15 whenever you claim ACTC (Additional Child Tax Credit) or EITC (Earned Income Tax Credit) on your 2018 tax return. This provision has been effective from January 1, 2017. Though it won’t affect the tax return you file this year - 2017, yet it can affect your cash flow negatively, if you’ve planned a budget keeping in mind the early tax return. If the corporate tax rates get reduced but the individual rates are not reduced, then the small business owners, who pay business taxes at individual rates, will be affected. They will have to pay disproportionately higher tax in comparison to large businesses. If you are a self-employed person, then know that the limits on the tax-deferred MSAs (Medical Savings Accounts) have increased. However, the minimum deductible amount for annual family coverage will be $4,500, increased by $50. And, under the family coverage, the limit on out-of-pocket expenses have increased by $100; it will be $8,250. There is a significant tax advantage for the seniors in 2017. If you are opting for itemized deduction, the qualified medical expenses should be more than 10% of your AGI (Adjusted Gross Income). As per an exception to this rule, the seniors are able to claim deduction of medical expenses more than 7.5% of income. But, this exception will be there till 2016 tax year; after that, the seniors won’t get this advantage. In general, an average taxpayer will have to pay comparatively less federal income tax, though there are exceptions. For example, parents of large families, who used to claim tax deduction for each child, may not enjoy paying less tax. So, keep these things in mind when you calculate your tax return in 2018, and from now, plan your budget accordingly so that you can manage your personal finances the way you want to. Proper planning can help you attain short and long term financial goals with ease.